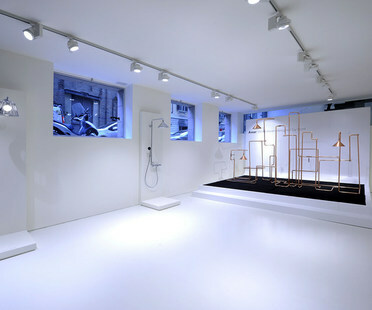 Architect Ferruccio Laviani designs Duriniquindici’s showroom in Milan, where Axor bathroom design meets the minimalist style of contemporary furniture by Porro. Award for Visual Communications in Singapore: Asylum’s Hublot Pop-Up Store. At the World Festival of Interiors in Marina Sands, Singapore October 2 - 4 2013 Asylum Creative Pte Ltd won first prize in the INSIDE Display category of the World Interior of the Year competition. 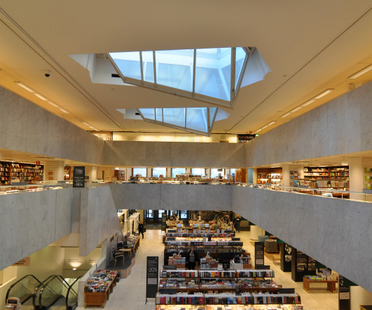 Architect Shoko Murakaji, winner of the second Next Landmark contest’s First Work category, kept a diary of his experience at Helsinki Design Week offering a designer’s eye view of the Finnish capital. The Bow, Calgary’s tallest skyscraper, designed by Foster + Partners for EnCana and Cenovus, has just opened. MVRDV architects recently completed renovation of a commercial building in "Gangnam", one of Seoul’s trendiest districts, now famous all over the world because of the Korean pop song of the same name. Zaha Hadid Architects have completed five new shops for Neil Barrett, four in Seoul and one in Hong Kong.